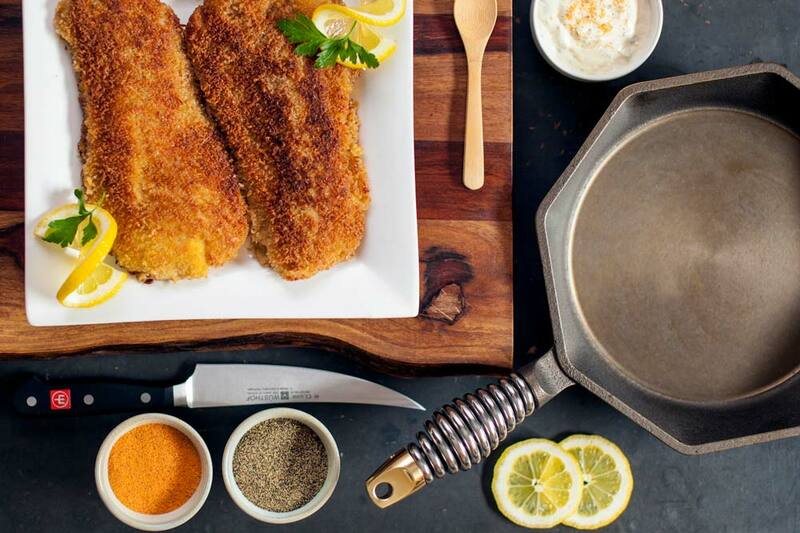 Fried Fish & Lemon Aioli Recipe | FINEX Cast Iron Cookware Co. 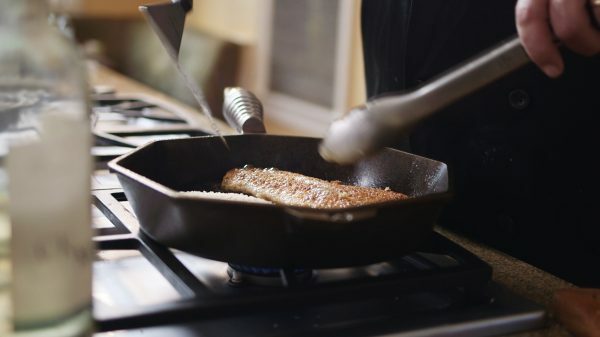 Nothing says classic cast iron cooking quite like the sound and scent of breaded fish fillets frying in a skillet. This simple, satisfying version from Wüsthof‘s Executive Chef Mike Garaghty serves up extra savory flavor thanks to its dijon & white wine rich egg wash. Try it! It’ll soon be a regularly repeated part of your culinary repertoire, especially if you take menu requests from your dinner guests. Mix seasoned flour (flour, seasoned salt & black pepper) in a gallon-sized plastic bag. Gather two shallow pans or pie tins. Mix egg wash in one and place Panko bread crumbs another. Roll filets in the seasoned flour to evenly coat. Then dredge in egg wash; press into Panko crumbs to coat all sides of filet. 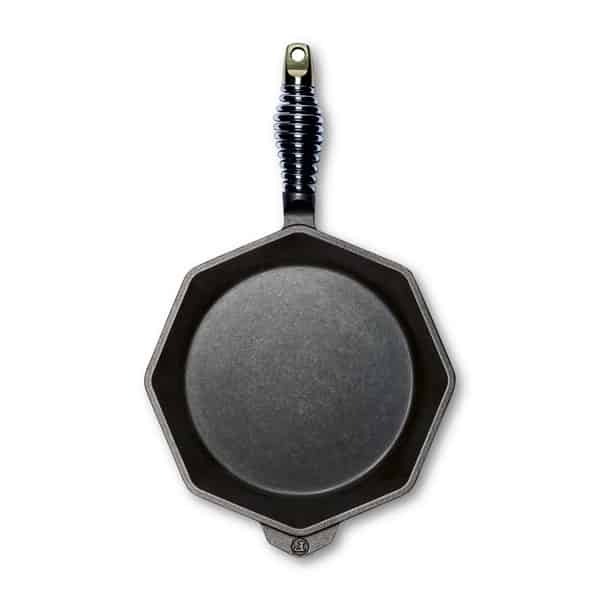 Mix butter and olive oil in a preheated (medium to medium-high heat) FINEX 12″ Skillet. Add filets and cook until golden – about 3-4 min. per side. Add butter & oil for subsequent batches. Mix lemon aioli ingredients in a bowl, season with salt & pepper to taste and serve with the fish.